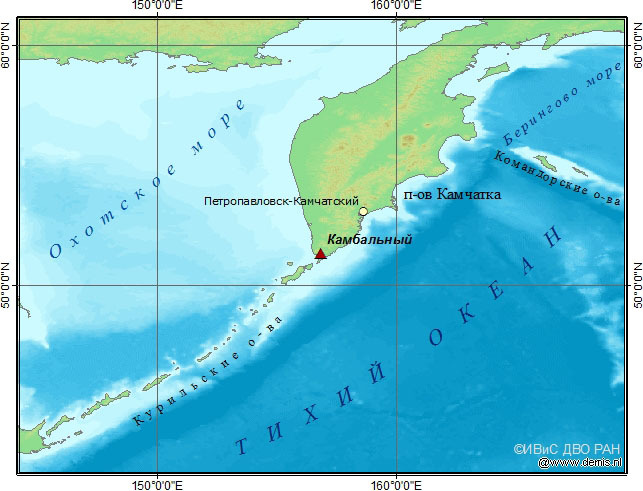 The volcano is located in Southern Kamchatka. 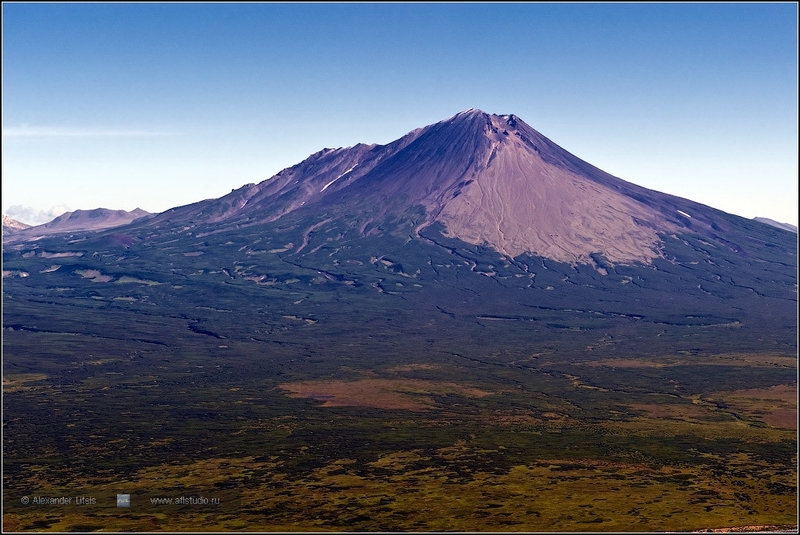 The conical stratovolcano with five Holocene’s cinder cones on the slopes. Principal hazards are ash plumes, ash falls, lava and pyroclastic flows, hot avalanches and lahars.